Kathryn Tickell with live performances by Peruvian band Bareto and Ethiopian Azmari group Fendika. Plus a Road Trip to Madagascar and a mixtape from AMMAR 808. Kathryn Tickell presents live performances of Peruvian Cumbia by Bareto and Ethiopian Azmari music from Fendika, both recorded at the 2017 Glatt & Verkehrt Festival in Austria and recorded by ORF (Austrian Radio). Hailing from Lima in Peru, Bareto play lively versions of classic Peruvian Cumbia hits, they were nominated for a Latin Grammy for their album ‘Ves lo que quieres ver' and their fifth studio album 'Impredecible' was released in 2015, via World Village. Ethiopian ensemble Fendika are led by dancer/choreographer Melaku Belay who taught himself to dance through participation in folk traditions and religious festivals whilst growing up as an orphan on the streets of Addis Ababa. He worked for seven years as a dancer for tips in Addis Ababa's Kazanchis neighborhood where he eventually saved enough money to buy the club, Fendika Azmari Bet, from its owners. It was in this venue that Belay formed Fendika, an ensemble featuring three musicians, two dancers, and one singer, performing a portable acoustic version of Azmari folk music. Also in the show Odilon Ranaivoson takes us on a Road Trip to Madagascar, and we have a hauntingly beautiful mixtape from Sofyann Ben Youssef (Ammar 808) featuring the ambient sounds of Jon Hassell's Blues Nile, the dying tradition of Stambeli as performed by Salah el Ouergli and 1930's Greek Rembetiko from Kostas Nuros. To celebrate the birthday of Marcus Garvey our Classic Artist this week is Jamaican dub reggae pioneer Lee "Scratch" Perry. 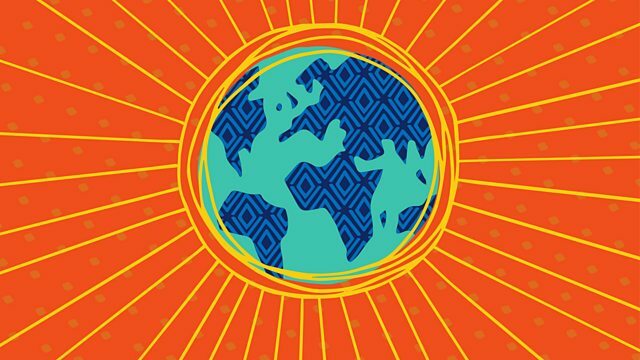 Listen to the world - Music Planet, Radio 3's new world music show presented by Lopa Kothari and Kathryn Tickell, brings us the best roots-based music from across the globe - with live sessions from the biggest international names and the freshest emerging talent; classic tracks and new releases. Plus special guest Mixtapes and gems from the BBC archives. Whether it's traditional Indian ragas, Malian funk, UK folk or Cuban jazz, you'll hear it on Music Planet. Recorded July 2017 at Glatt & Verkehrt Festival 2017 by ORF. The Best Of Lee 'Scratch' Perry. Best of Atta Ullah Khan Esakhelvi. The Legacy Of Black Tunisians. Discover the world with music in our podcast. No passport required; just headphones. Global beats and roots music from every corner of the world.